Your Finance Formulas: Is it Cheaper to Insure an Old or New Car? Is it Cheaper to Insure an Old or New Car? One of the main things everyone considers when buying a car is the amount of insurance they will have to pay. This is sensible because there are several costs involved with owning a car, and insurance is one of the main outgoings for most drivers. But is it always best to get an older car that has already been used, or do newer vehicles offer cheaper insurance options? In truth there is no simple answer. Many people think older cars are automatically cheaper to insure, but this is not necessarily the case. A variety of different factors come into play when an insurer calculates the premium on a particular vehicle. So when you are gauging which car would be right for you, it is wise to do some research before making that all important decision. It will help you work out which car will give you the cheapest insurance policy. Of course some cars are typically always cheaper to insure than others. The Ford Fiesta, Vauxhall Corsa and Renault Clio are all among the cheapest cars to insure in the UK. There are a number of reasons for this – cheaper parts, lower cost of the car and less power under the bonnet. But the cheaper prices can apply to newer models and not just older ones. Always check before splashing out on any car to make sure the insurance is cost effective. You could actually get a model that is a year or two old covered for less than it would cost to cover a much older model. There are different insurance policies too though – policies that are often chosen by specific drivers. For example, owners of older cars often opt for third party fire and theft because it is not worth buying a comprehensive policy, owing to the age and value of the car. However, newer cars will often have a comprehensive policy which is pricier. So again you have another factor to be borne in mind. Incidentally, classic cars can also work out cheaper to cover than more modern ones – another fact that may surprise you. 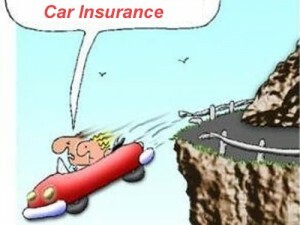 It’s clear that people have to think about insurance as a contributing factor to any car they buy. Shopping around for a new policy can produce some wildly different premiums, but depending on your situation, your age and where you live, you may find it more cost effective to buy a newer car. Cheaper premiums are also available if your car is kept secured in a locked garage overnight, as you’ll see if you specify this in a quote. Whatever car you end up with, there are other ways to bring down the cost of premiums if you have more than one car in your household. A multi car insurance quote is a good way to find out how much cheaper your insurance could be for all the vehicles covered. This applies both to used cars and to brand new ones. So whatever you would like to drive around in, a little research will allow you to make sure you are able to get the lowest possible insurance quote you can. Jamie Monteath is a freelance blogger who runs his own finance blog at http://finance-blog.co/. He has had his work published on other finance sites regarding several finance subjects ranging from personal finance, getting a multi car insurance quote and other insurance related topics.